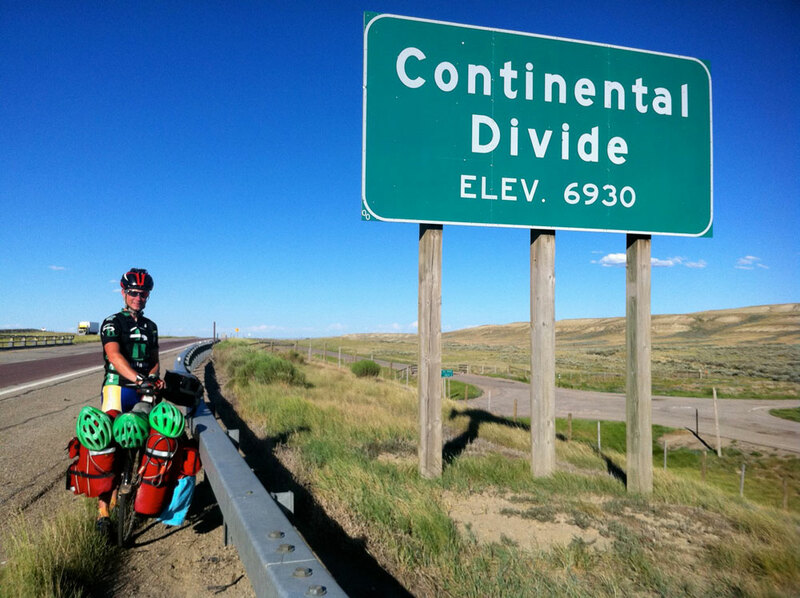 Doug Markgraf, a 2010 Drexel graduate, biked more than 3,400 miles across the country this summer to promote traumatic brain injury recovery and awareness after recovering from a TBI himself. 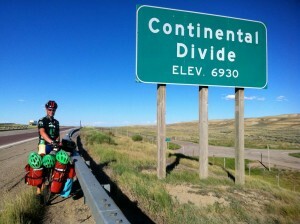 It took Markgraf 56 days and over 3,200 miles to bike through 11 states from San Francisco, Calif., June 27 to Fall Rivers, N.J., Aug. 22. Along the way he spoke to hundreds of people, both the town residents as well as the patients and professionals in the hospitals, about his own personal story and the need to raise awareness about TBI, the drastic injury that can’t be seen. On May 31, 2006, Markgraf was struck by a pickup truck in a hit-and-run accident while he was biking in the bike lane on Lancaster Avenue near 55th Street. A sophomore mechanical engineering major and a member of the Drexel Cycling Team, Markgraf was left for dead on the street, where his bike was found mangled beyond repair, with the spokes of the wheels bent out of shape and his helmet severely damaged. The accident left Markgraf, now 25, in a two-week coma. Among his many other injuries, Markgraf had 21 different bruised spots on his brain, which was part of his diffuse TBO, meaning that the injury was over a widespread area. He spent four weeks at Moss Rehabilitation Hospital until he was allowed to return home, but months of outpatient rehabilitation continued. Doctors, families and friends were unsure if Markgraf would be ever be able to ride his bicycle on the street or resume his studies at Drexel due to his troubles with reading, remembering and even balancing. “They actually kind of made it seem like the option of going back on a bike wasn’t there. And so I said to them, ‘This is not the way it’s going to go. If I can ever ride my bike again, which I’m going to, I’m going to ride as far as I can.’ I had that really, really stubborn kind of way about myself. And so I’ve made amazing friends in the past five years about brain injury, and in the end I said if I’m going to ride across country, I’m going to make it as meaningful as possible, for as many people as possible,” Markgraf said. Though he was able to return to Drexel in 2007, his brain injury affected his memory so much that he became an education major. Instead of working in robotics, he now teaches the subject to students at Universal Institute Charter School in South Philadelphia, where he also started the school’s first cycling club for students to join. One fifth-grade student even spent weeks building him a sort of bike computer out of the robot kits Markgraf teaches with, to show how close cars would come to the bike. Unfortunately, the student was unable to finish it in time for Markgraf to take it with him. Markgraf rode every day with 75 pounds of weight on his bike from various baggage, including a sleeping bag and a tent. He also carried six bike helmets attached to the back of his bicycle to show that if he can ride his bike over 3,000 miles with extra helmets, people can ride their bikes with just one. Markgraf maintained his blog with his iPhone, using the device as his computer, camera and video recorder. Every day he made a post stating where he was, how many miles he’d ridden, and what the weather and terrain was like wherever he was. He often posted pictures and videos he took on his iPhone to supplement his updates. When Markgraf couldn’t find a house or a hotel to stay at, he’d often camp outside, usually on the front lawns of locals he met or sometimes at cemeteries, which he wrote on his blog was because “they’re probably the most cleanly and least-visited public lands that you can find.” He said the people he talked to often offered him a place to stay after he told them his story, though he did not explicitly ask for a place to stay. “I’m purposefully making friends everywhere that I go, so I’ll go and kind of walk around and by the time I’m done walking around someone usually says to me, ‘You’re welcome to stay on my spare bed or on my sofa.’ It’s amazing how a lot of people realize I could really use some sort of help somewhere,” he said. His blog post from that day mentioned that he spent three hours at the hospital, compared to the 336 hours he spent there over five years ago. When he went to the hospital, he was shown the new area of the neurological wing of the intensive care unit and even met some of the people who helped him with his recovery five years ago, though he couldn’t remember some of them. One of the doctors even told Markgraf that the last time he saw him wearing cycling clothes was five years ago when he was admitted. Markgraff finished his trip Monday, and the next day had to start preparing to return to his teaching job. A documentary is being made of Markgraf’s story and cross-country bike trip, with the trailer already completed and posted on his blog. The finished product will be expanded with video footage of Markgraf riding and speaking across the country. “What I really want to do is show as many people as possible that you can recover from a brain injury, and people who currently are recovering need that extra oomph,” he explained. When the documentary is finished, Markgraf hopes to give copies to hospitals across the country — especially the ones he biked to this summer. To read Markgraf’s blog, visit dougtrails.wordpress.com.